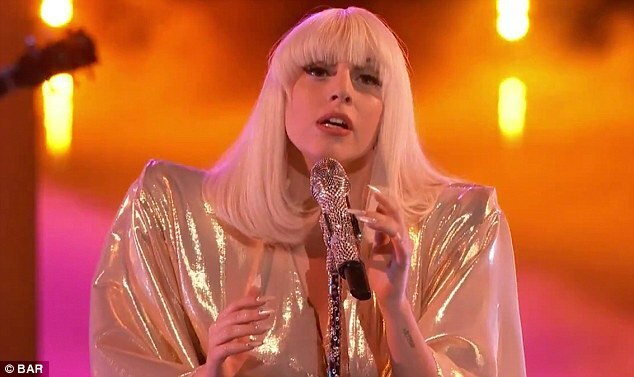 Lady Gaga’s charity took in more than $2.5 million in 2012 – but paid out just a single $5,000 grant, tax records have revealed. The pop superstar’s Born This Way Foundation spent millions on consultants, lawyers and publicity experts, plus more than $500,000 on its 23-event Born To Be Brave bus tour, which visited US cities ‘inspiring’ disillusioned youths.The non-profit organisation – which received $2.66 million in revenue – paid out a staggering $406,552 for legal fees, $300,000 for ‘strategic development’ and $150,000 for ‘philanthropic consulting’. Fees – of $348,000 for the bus production, $77,923 for travel, $62,836 for stage production, $60,000 for research, $58,678 for publicity, $50,000 for social media development and $47,825 for meeting and event coordination – added to the hefty outgoings. Total expenses reached $1.85?million, according to the New York Post. However, documents show there was just one recipient of a $5,000 grant. The foundation, which is headed by Gaga’s mother Cynthia Germanotta as its unpaid president, had 19,288 young participants learning about ‘civic engagement’ during last year’s summer bus tour. Twenty four children took part in a youth advisory board summit which was guiding the charity’s future programs. The source of the charity’s contributions and income have not been revealed but Gaga, 27, real name Stefani Germanotta, said in 2011 when she launched Born This Way that she would be putting a large amount of her money into the project. The singer is known for her charitable nature and in 2012 topped DoSomething.org’s ‘Top 20 Celebs Gone Good’ list, alongside Taylor Swift. According to the list, Gaga launched the Born This Way fund with a personal $1.2 million donation and also gave another $1 million to victims of Hurricane Sandy. Swift gave more than $4 million to charity. Gaga, meanwhile, is scheduled to give the keynote address at the South by Southwest music festival and conference in Austin, Texas. In an interview with Rolling Stone magazine, she said: ‘I want the audience in Austin to see me live in a way I never have before.